Last month, my friend Heather moved from Mississippi to Tampa! I was super excited when she informed me that her family would be moving down. Little did I know at the time that this meant I would be gaining a neighbor! It's been a lot of fun, between pool days, being gym buddies and showing Heather around Tampa. On Friday, we took a quick trip over to see my friends at Seminole Hard Rock Tampa for massages and lunch. Rock Spa located inside the resort is one of my favorite spa's in Tampa. They've got unique treatments and the service has always been spot on. I got a 60 minute Solid as a Rock massage (deep tissue). The great thing about this treatment at Hard Rock is that they specify the massage to your needs. I had a focus on sports therapy and stretching which will be very helpful with this weekends Half Marathon. I told my therapist my goal from that massage was to be rid of the lactic acid in my legs. I felt fantastic and relaxed after 60 minutes! Heather got the Rhythm and Motion massage, which you can read about my experience with that treatment here. After our treatments were over, we met back up in the sauna and steam room, then found our way to the giant hot tub where we sat for a little too long. A girls day at the spa was the perfect way to say goodbye to 2016. 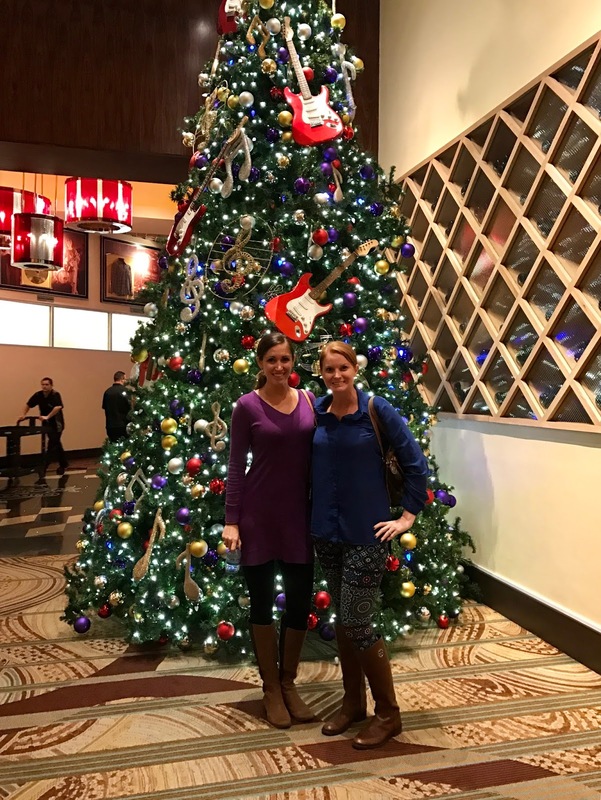 Following our treatments, we met up with Tampa's talented hospitality PR team and had lunch at Hard Rock's Fresh Harvest which has 7 live cooking stations. Between Mongolian stir fry, Shellfish, Sushi, Pasta and fried chicken, you can honestly take any kind of eater here and they will leave full and happy. The second I walked in, I instantly noticed the build your own pho station. This was such a wonderful addition to the already amazing options located inside of Fresh Harvest. My lunch that afternoon consisted of Dim Sum, a delicious bowl of Pho, a cheeseburger and a handspun milkshake. Did I mention they just added a candy station bar that is included in the price of your meal? Where else can you find this mixture of food options under one roof! There is a great deal right now at Rock Spa - for a limited time, you can get an 80 minute Abracadabra facial on Mondays-Thursdays for $145. I don't know about you but my dry skin could use a little magic right now. Follow along with Hard Rock on their social channels and be sure to follow along with the expansion and amazing updates the resort is making. I visit Hard Rock at least once a month and could not believe all the updates since we were there in December. On this trip, I had the chance to have a sneak peek of Hard Rock Tampa's new poker room which opens next week. It is incredible! The rendering below is the proposed expansion. 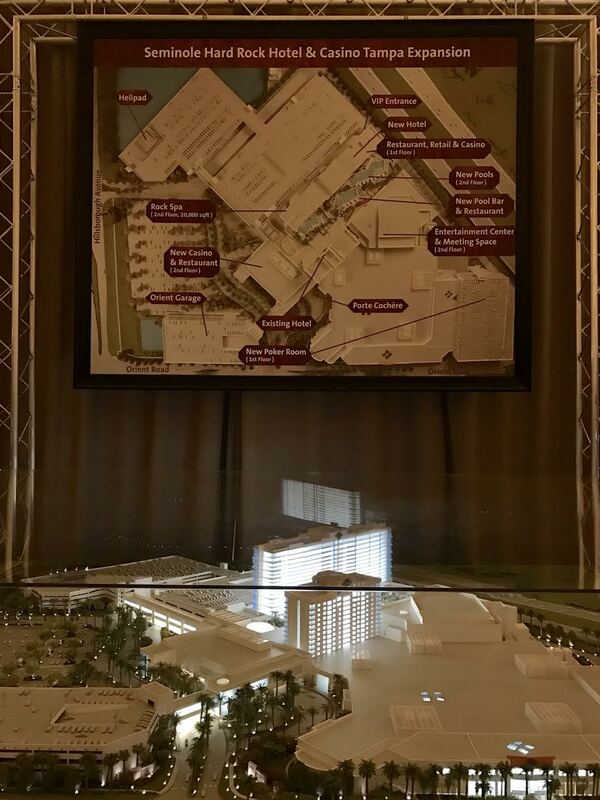 When they are done with the updates, you will not recognize Seminole Hard Rock Tampa.